Two legends are popular regarding Haji Ali Dargah. According to the first legend Haji Ali, was a rich businessman who renounced the worldly pleasures after his visit to Mecca and was then engrossed in meditation. While the other suggests that Haji Ali went on a pilgrimage to Mecca and died there but his casket miraculously drifted back to the shores of Mumbai. In accordance with the Muslim tradition, Haji Ali Dargah has different praying rooms for ladies and gents. Since one cannot visit the mausoleum during the low tide, so there’s an offshore location, which is situated on the opposite side of Mahalakshmi racecourse. After passing through the carved entrance of Haji Ali Dargah, you enter the marble courtyard containing the main shrine. Hundreds of devotees come to the mosque to get the blessings of the saint. 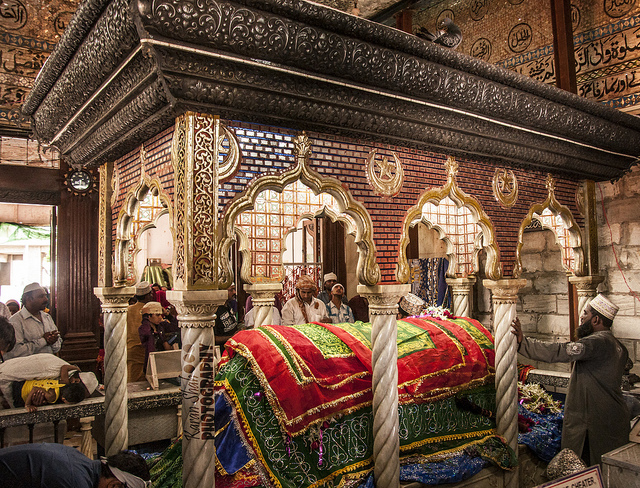 The tomb is covered with red and green coloured chaddar, enclosed in a wonderful silver frame. The tomb is ornamented with beautiful mirror work of different colors and the ninety-nine names of Allah are inscribed on it in Arabic. The courtyard is huge with a number of refreshment stalls. 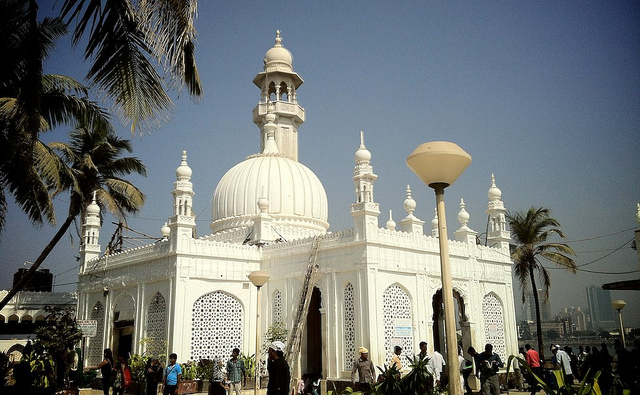 Haji Ali Mosque located in the Worli area of South Mumbai is a place of great importance for Muslims and other followers of Sayyed Peer Haji Ali Shah Bukhari. Thus, the place is visited by thousands of people each week and lakhs of people every year. This Haji Ali Tourism will definitely help you for your lovely trip. Image by Yogesh Mhatre,karan’s pic stream,AbhijeetRane Under Creative Common License.